We provide a fully qualified and insured domestic asbestos removal service throughout the UK but predominantly within the home counties of Berkshire, Hampshire, Surrey, Sussex, Dorset, Wiltshire and of course across London. With a wealth of knowledge and experience in the removal, encapsulation and disposal of all types of Asbestos Containing Materials from a wide range of locations. Specializing in occupied residential buildings and also fire damaged structures. Our approach to asbestos removal and disposal is planned to cause the very minimum amount of inconvenience to the client whilst maintaining the highest levels of safety and ensuring the work is thoroughly and effectively carried out. 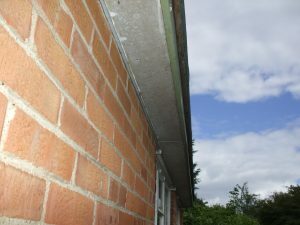 Our ethos is to work with our clients on projects no matter how challenging the environment where the asbestos is found and needs to be removed. Our asbestos removal teams work on listed buildings or of architectural interest where the utmost care is required in maintaining the structural and visual integrity of the building. Our teams work at height where asbestos use in past building practices has been extensive and may pose additional risk due to its poor condition. All types of commercial & industrial contracts carried out with safety sacrosanct and attention to detail paramount. We pride ourselves on our fast response to customer requirements, safe work practices and professional standards. All of our operatives are fully trained and experienced in all kinds of safe asbestos management. M3 Asbestos Ltd is a fully Licensed Asbestos Removal Contractor. Our management team have held a licence consecutively fpr over 25 years. With a wealth of knowledge and experience in the removal, encapsulation and disposal of all types of Asbestos Containing Materials from a wide range of locations. Specializing in occupied industrial/residential buildings and fire damaged structures. All operatives are trained and medically monitored. All Asbestos contracts are carried out in full conformance with current statutory requirements.